Cell, 2018, 172(3):564-577.e13. Clopidogrel purchased from Selleck. Laine L, et al. Am J Gastroenterol, 2010, 105(1), 34-41. Luo JC, et al. 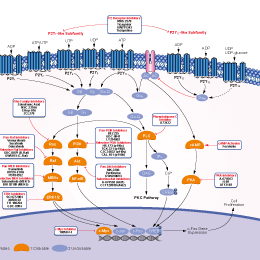 Eur J Pharmacol, 2012, 695(1-3), 112-119. Coimbra LS, et al. J Clin Periodontol, 2014, 41(3), 295-302. Sch鋐er A, et al. Basic Res Cardiol, 2011, 106(3), 485-494. Herbert JM, et al. Thromb Haemost, 1998, 80(3), 512-518. 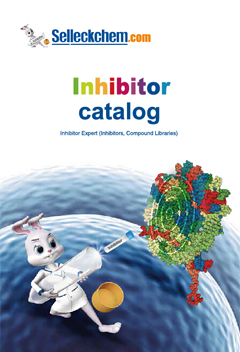 Features:First-in-class of a new type of P2Y12 antagonist known as cyclopentyl-triazolo-pyrimidines.